Right, as most of you will know, it’s Climate Week this week, and to celebrate we got together with fellow green companies Green Reviews and DIY Doctor to bring you the Great Green Climate Challenge via The Donation. 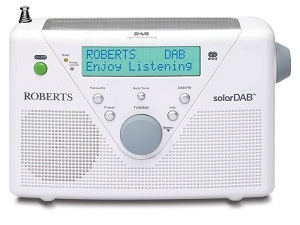 The idea is that in return for pledging to reduce your carbon for 2 months on The Donation website, you get entered into our draw to win a rather fabulous Roberts solar powered DAB radio (pictured). You can pledge as many times as you like, and each pledge is another entry into the draw, which means you’ve got a great reason to go the extra mile in the name of carbon cutting. My new caffeine free life! The Donation website’s great, not only because it offers a fab range of actions to pledge, it also calculates how much carbon you’re saving by doing that pledge. This means it’s easy to know exactly how much of a difference you’re making. And if you’re curious like I am, you can also plug your kilogrammes saved into the EPA’s equalizer calculator, which can give you your saving in terms of petrol saved or trees planted. I pledged to do the ‘Tap it’ pledge, which involves giving up plastic drinks bottles, as I’ve got a bit of an obsession with Diet Coke. Eco-friendly ways of consuming it haven’t worked out for me, and so I’m reluctantly giving it up full stop. I’m saving about three plastic bottles from going to landfill every week, and saving (according to the website) 4kg of carbon dioxide a year. This isn’t a lot, but it does add up – and the immediate environmental benefits are significant. I was shocked to read on the pledge description that a typical plastic bottle takes 500 years to decompose. When I mentioned my pledge to my friends, they asked why I couldn’t just recycle my bottles. The obvious answer is that it has to be better to reduce in the first place rather than recycle. Having said that, recycling is a brilliantly effective way of saving energy – it saves 90% of the energy required to create a new bottles1, and recycling in the UK alone saves the carbon dioxide equivalent to taking 5 million cars off the road every year.2 There’s even a recycling pledge on The Donation if that’s an area you could do with improving. It’s day 10 of my pledge, and I’m certainly feeling the lack of caffeine – but I won’t be going back to the Coke until there’s a magic way I can drink it without buying it in a bottle or can. You can join me and pledge to give your carbon a trim on the Great Green Climate Challenge page – and who knows, maybe you’ll green your life and bag a fab prize! 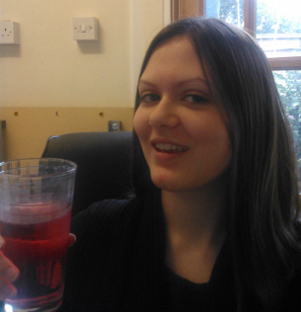 This entry was posted in Green Lifestyle and tagged Competition, Energy saving, Recycling. Bookmark the permalink.